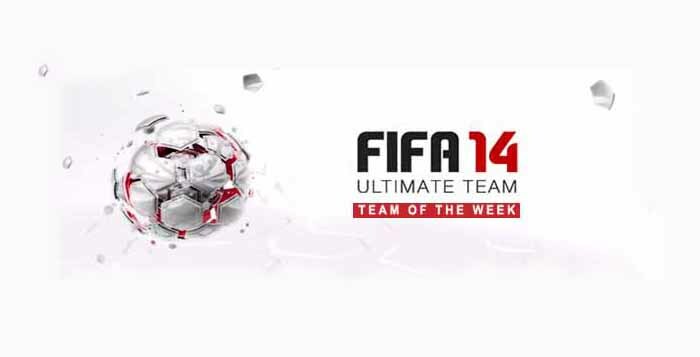 TOTW means “Team of the Week”. It is a weekly team of black-colored In Form player cards. Since FUT 10, every week EA Sports selects from 18 to 23 players of any category based on their good real performances on the previous week and joined them in a single squad. 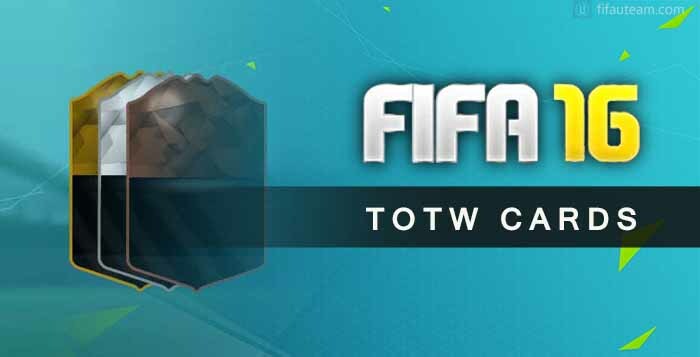 That team is called Team of the Week and it is possible to play against them in the ‘TOTW Challenge’. To each one of these players, it is assigned a new black card which becomes available in packs every Wednesday at 6pm (UK time), for a week only, replacing the corresponding regular card. 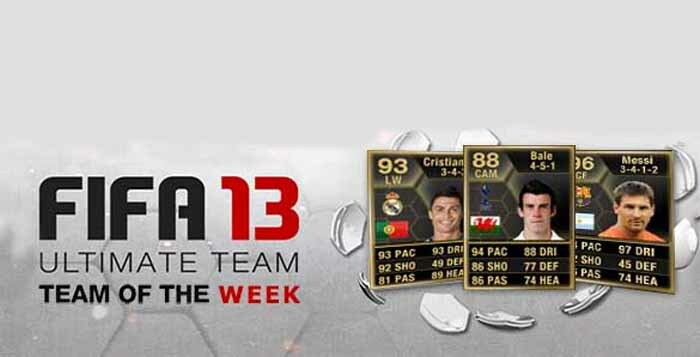 The ratings and attributes of Team of the Week items are usually boosted in one, two or three points. The rating boost is always relative to the most recent TOTW card, no matter if the player moved to another club or if he was upgraded. The position of the players in these cards may change if, in the previous week, they played really well in a different position.